Peter Cunningham is from Waterford, Ireland’s oldest city. He says he grew up in an extended family of storytellers. Although he wrote continuously in school, in university and as a young adult, he also worked in a variety of other jobs, including accountancy, the sugar industry, and farming. He married Carol, a Jungian analyst, in 1973. His first novels, beginning with Noble Lord in 1986, were thrillers. Following the death of his eldest son, also Peter, in 1990, the direction of the writing changed. He began to write contemporary fiction, based on life in Waterford, which he fictionalised as Monument, a port town in Ireland’s south east. Beginning with Tapes of the River Delta, these novels have been widely acclaimed. Consequences of the Heart was shortlisted for the Listowel Writer’s Prize; The Sea and the Silence won the prestigious Prix de l’Europe. The Taoiseach was a controversial best seller, whilst Capital Sins, for which Cunningham was described by the Irish Times newspaper as “the Hemmingway of the Celtic Tiger”, was a satire set in the Irish economic meltdown. Sister Caravaggio, conceived with his close friend, the late Maeve Binchy, and written as a collaborative novel with four other well-known Irish writers, was also a best seller. His novel, Acts of Allegiance, was widely acclaimed on publication in 2017 and was subsequently nominated for the Dublin International Literary Award. 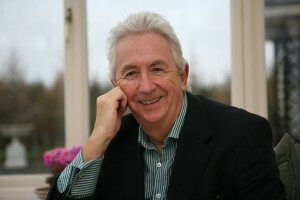 Cunningham was one of the nominees in 2017 for the Laureate for Irish Fiction, a new role inaugurated by the Arts Council of Ireland. His novel Consequences of the Heart will be published in Italy by SEM Milan in September 2019. He is a member of Aosdána, the Irish academy of arts and letters.